I have worked at Hayden since I graduated from the University of Indianapolis in 2006. Jamie had welcomed me in at that point and I have loved being a part of this team for so many years. I am originally from the Southside of Indy and went to Roncalli High School. I then attended undergrad and PT both at the University of Indianapolis before beginning my career here at Hayden. My wife, Jessie, and I moved to Greenwood in 2009 when we got married to be closer to the communities in which we worked. Jessie began working with Center Grove Schools after her graduation from IU and is still with the corporation. We welcomed our daughter, Molly, in 2012 and our son Bennett in 2015 and love being a part of this community with school, work and church. We built a house a few years ago and are still finding projects to do around the house and yard. My free time these days revolves around family. With our daughter and son growing up, I try to get as much time with them and my wife as I can. I also enjoy hunting, fishing, and golfing when I get a free weekend. I have really loved the caring atmosphere here and the opportunity to help people take back their life from pain or recover from an injury. 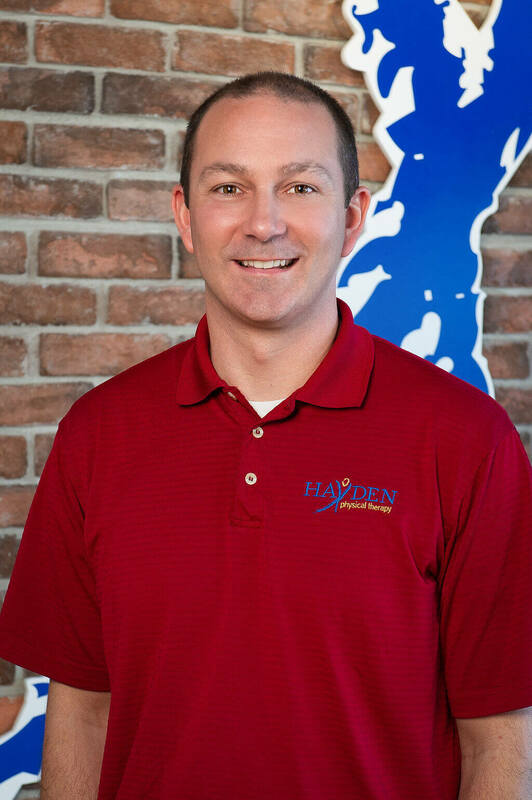 The relationships I have made through Hayden over the past 12 years, both with co-workers and patients, have impacted my life greatly and I look forward to my future of helping others at Hayden Physical Therapy.